The sheer number of people using online dating services has resulted in hundreds of dating websites to choose from, which can seem quite daunting. The safest options are the larger, more established sites that are well reviewed and highly ranked among users. Dating sites like Match.com and Senior People Meet boast the largest senior user bases of any online dating service – which could make them a good place to begin your search. Boomers now have the dubious distinction of being the largest divorce demographic. Many boomers were married for twenty-five years or more and now their children are grown and out of the house and they’re looking at each other with a more critical eye. Clearly, for a substantial number of married boomers, this has become a wake-up call to find a partner more in sync with who they’ve become. 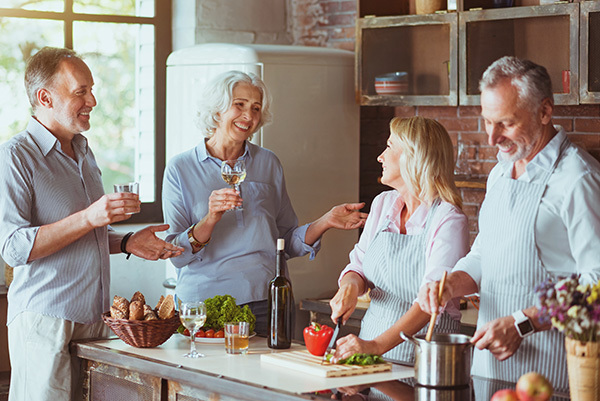 Boomer dating newbies typically turn to friends to introduce them to their single boomer friends, but those choices are typically limited. And the odds are heavily against two strangers who know nothing about each other meeting and falling in love. And friends’ numbers of single friends is usually small, so few introductions are made. Boomers have to find love on their own, and online dating allows them to know enough about someone in advance to determine if there’s a reasonable hope for a match. At first glance online dating for boomers appears fairly straightforward. Just post a profile and watch your inbox fill up, right? Actually no, and whether or not it’s fair, senior online dating is competitive. 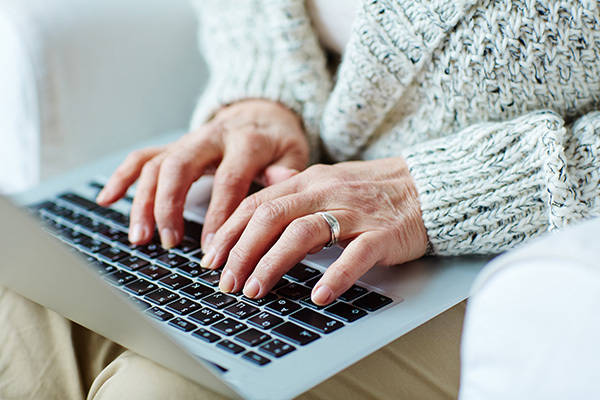 So how does a senior online dater get noticed? Your online profile is what stands between you and successful dating. There isn’t a lot more for daters to consider until they meet you in person. So what are the profile criteria that will attract the most and the right kind of attention? 7) What Types of Profile Photos Work Best? First is your online photo and if you skip this tip you’ll likely fail. Your online profile is your menu that lists what you have to offer, and the first item at the top of your menu is your photo. And posting a profile without a photo guaranties failure. I dated online for several years and I look at profiles with my date coaching clients to help them achieve the best results. I notice photos that resemble mug shots, gloomy photos, group photos with an arrow, photos with hats and sunglasses, and versions of all of these. A headshot is an appropriate first photo, and post at least one full length shot. But what’s most important and critical has nothing to do with being beautiful or handsome. Smile, because a smiling face suggests a joyful, upbeat personality, and every smiling face is attractive. Some dating sites allow users to upload multiple photos, which gives daters more opportunity to tell a story with their pictures. Zoosk’s photo portal allows for up to 6 photos, so make sure to curate your collection carefully to show both formal and casual photos and some of you taking part in your favorite activities. 8) Do I Have to Fill in All the Blanks? An online profile with just a few lines of information is doomed. It’s lazy and half-hearted and suggests contempt for the process. It’s self-defeating because it will appeal primarily to members who choose dates based on their photos, and that isn’t someone you want to meet. If you’ve decided to jump into the senior online dating pool, then give it the energy it deserves. You needn’t mention every place you’ve traveled. Instead, pick your favorite place and write a short film script about sharing it with a lover. Paris is my favorite city and my film began with strolling along the Left Bank of the Seine River on a sunny spring morning, holding hands with a lover, stopping at books stalls along the way to the Muse` D’Orsay, looking at the romantic Impressionist paintings; a late afternoon lunch at a sidewalk café, a walk back to the hotel to make love and fall asleep in each other’s arms, drinks in the evening at a brasserie and dinner afterward at a small, candle-lit neighborhood restaurant. While it wasn’t meant to appeal to every boomer woman, it appealed to the precise type of woman I wanted to attract. My boomer partner loves Paris and enjoyed my short film. 9) How Can I Make My Passions Attractive? 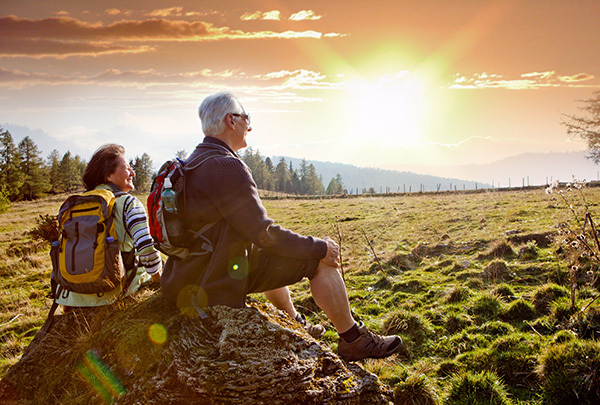 Whether you’re a senior hiker, bicycler, traveler, cook, amateur musician, theater lover, exercise enthusiast, volunteer worker, or whatever your passions, it’s important to mention them in terms of sharing. Be inclusive. If cooking is one of your passions mention how joyful it is to prepare a dinner with a lover, drink wine and kiss while slicing and dicing. Hiking with friends is a great way to exercise and to catch up, but hiking with a lover is that and more. Stopping along the way to hug, kiss, look into each other’s eyes, and share special moments become a relationship’s memories, and a picnic is the frosting on that cake. Perhaps your volunteer activity is a passion you’ve always wanted to share with a like-minded partner. Mention how sharing it with someone special would be a terrific bonding experience for a relationship. There are endless tips for making your profile shine, but speaking in an inclusive tone is a surefire win. 10) What’s Negotiable And What’s Not? Without narrowing the field to zero, but still aiming high, specify the qualities you consider non-negotiable in a senior partner. Your core values and beliefs are the manner in which you live life, so you want a partner with the same values and beliefs. This aspect is critical so don’t compromise to accommodate someone with different values. If kindness and compassion are important to you then be sure to mention them as requirements in a partner. If generosity of spirit is your path in life, then it’s a quality you want in someone special. If you’re deeply religious or not at all religious, mention this because it’s not going to become an area of difference you’ll want to negotiate later on. If trust comes easily and naturally to you, then it’s a quality you need in a partner. If friends are a major part of your life, then you want a boomer partner who has friends they feel similarly about. If you’ve done some personal growth work, then you already know that relationships work best when both partners have interpersonal skills. If you find a partner with all the qualities you seek, your relationship will still require some compromise, but at least you’ll be on the same page. 11) Do I Contact Members or Wait for Invitations? Okay, you’re ready to meet other single, senior men and women. I believe that being proactive is preferable to fielding invitations. By being proactive you’re zeroing in on only those potential dates that fit all of your parameters after reading their profiles carefully. The men or women you email will appreciate your invitation because you’ll mention some of the specific qualities about them that attracted you. This will put you at the top of the senior online dating pyramid because you won’t look like a cut and paste dater. 12) What’s In A First Email? Limit your email to the specific qualities that attracted you and invite that person to look at your profile. Don’t suggest getting together initially, just mention you’re interested and see if the attraction is mutual. And don’t play email tag or you’ll look like a senior rookie dater. A phone call or two is appropriate as soon as both people agree there’s an attraction. And remember that smart dating means a first date over coffee in a busy café that lasts less than an hour. The ideal coffee date ends with both people feeling disappointed it’s over and anxious to see each other again. You’ve got time to share your histories and allowing them to unfold naturally works best. My life changed in so many wonderful ways since meeting my partner online, but the search wore me out at times. When online dating feels like drudgery take a break for a while until you’re feeling positive about it again. Remember that the ultimate joy of online dating isn’t in the process. It’s in the results. I urge reluctant boomers who haven’t tried online dating or who gave up in frustration to go online and check out how senior dating websites have evolved. They’re user-friendly, which means you don’t have to be a computer whiz. And while it’s a good idea to call your adult children to keep in touch, you won’t be calling for computer help. Ready to get started and send that first email? Sign up for one of our top-rated senior dating sites now and start contacting singles today.